Now a major motion picture from Columbia Pictures starring Matt Damon, produced by Mike Nichols, and directed by Billy Bob Thornton. 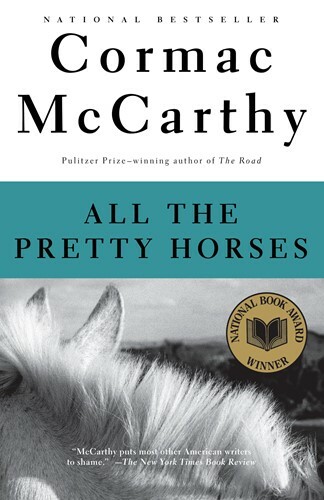 The national bestseller and the first volume in Cormac McCarthy's Border Trilogy, All the Pretty Horses is the tale of John Grady Cole, who at sixteen finds himself at the end of a long line of Texas ranchers, cut off from the only life he has ever imagined for himself. With two companions, he sets off for Mexico on a sometimes idyllic, sometimes comic journey to a place where dreams are paid for in blood. Winner of the National Book Award for Fiction. From the Trade Paperback edition.